A unique chance to experience our capacities, in real machining conditions, and showcased by top specialists in milling, vertical turning and grinding. 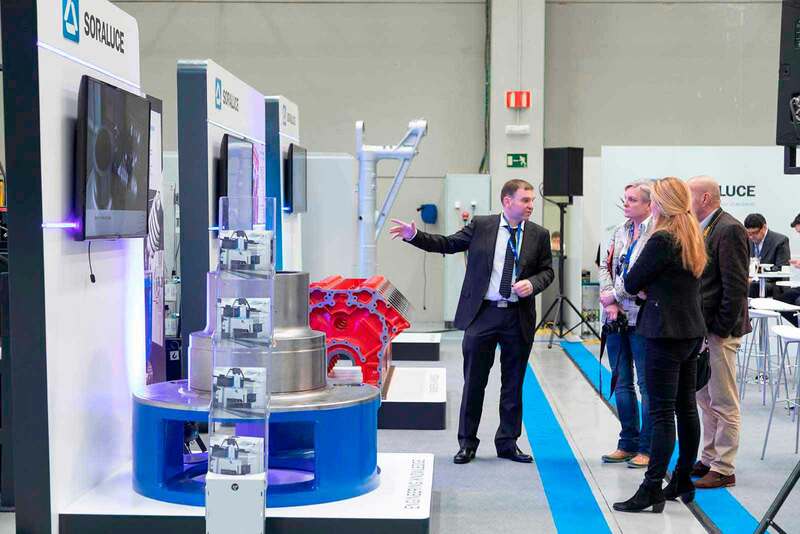 At the SORALUCE SUMMIT 2019 | PORTAL SERIES, SORALUCE has presented the benefits of the new solutions and technologies related to the new generation of SORALUCE portal machines. The linchpin of the SORALUCE SUMMIT | PORTAL SERIES was the global unveiling of the extraordinary advantages of this new SORALUCE range for machining large components, as the brand yet again shows its leadership and its technological capability. The new PORTAL SERIES unveiled is part of SORALUCE’s business development. 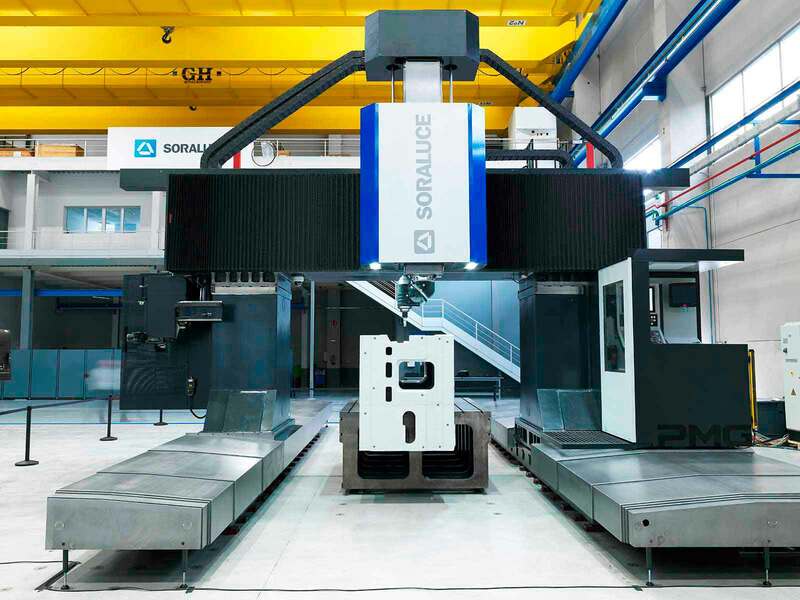 Endorsed by its knowledge and experience in milling and turning technology as well as its position as technological leader in the sector, SORALUCE showcases a complete range of portal machines, including mobile table milling machines, gantry milling machines, multitasking machines, with fixed and moving cross beams, with a full range of heads and other options. SORALUCE also presented the NEW PORTAL FACTORY, the most comprehensive and advanced manufacturing centre for large-scale, heavy duty portal machines, which was also the venue of the Summit on this occasion. The NEW FACTORY PORTAL is a very important step forward in the development of the PORTAL SERIES, thus offering a response to the growing demand for machining large parts. The facility is exclusively focused on this type of machines, which account for all the production activity, along with the research and development projects for the portal series. The new plant has meant an investment of € 9 million. It has a usable surface area of 4,900 m2 (140 metres long and 35 metres wide and 17 m high), which allows the manufacturing of large-scale portal machines. Its crane capacity is up to 80 Tn. The new PORTAL FACTORY opened during the SORALUCE SUMMIT | PORTAL SERIES is a milestone in SORALUCE’s Strategic Plan 2017-2020 focusing on the expansion of the product range, technological differentiation, the development of customer sectors and the consolidation of SORALUCE’s presence on the new international markets. Our aim is to create value for customers. However, it is not enough to meet expectations to be successful and we have to exceed them, which means designing and constructing new products, offering “best in class” services, being capable of customising our solutions and technologically leading the market. Furthermore, this package contributes to improve the productivity and cost-effectiveness of each of our customers. Therefore, the SORALUCE SUMMIT was the ideal setting to share experiences among professionals of the sector and build the future together. A good example of this was special integral projects showcased by SORALUCE, specifically developed for some customers working closely on R&D&I and with the support of its research centre. The multitasking concept developed by the company, which can be incorporated into the entire range of the manufacturer’s machines, provides high impact advantages such as cutting the amount of time dedicated to the loading, unloading and centring of parts as, given that the different tasks are carried out in one machine, these operations need only be completed once. But, in addition to this, choosing a multitasking system implies a reduction in investment in terms of the number of equipment, a decrease in the amount of space needed in the plant itself as well as the amount of resources required. Therefore, the multitasking systems are versatile, compact, provide great flexibility, increase efficiency in the process and make it possible to produce small batches efficiently. 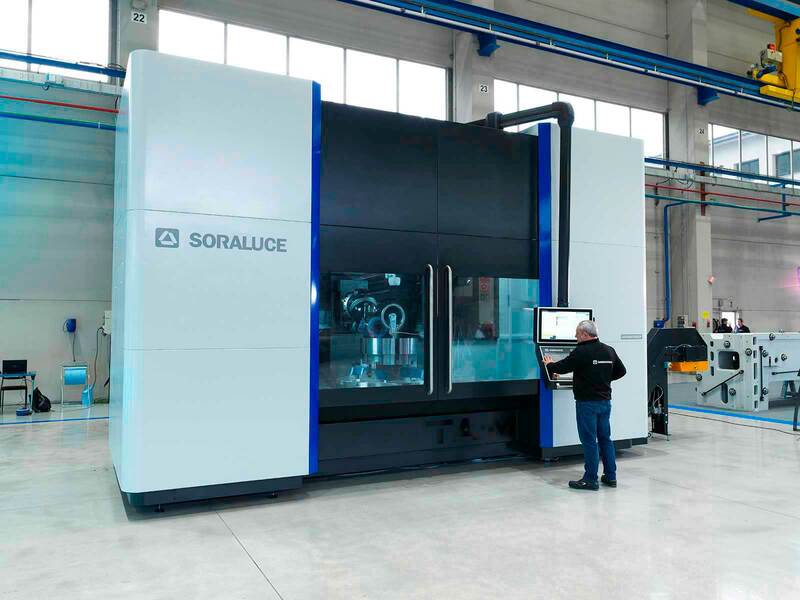 With extensive experience in the field of milling and turning, SORALUCE develops customised cycles to complement the systems of manufacturers of numeric controls (CNC), such as the kinematic management of the heads which, using one tool corrector in the whole area, facilitates the programming of simple geometries and makes it possible to move from one process to another in the multasting solutions or customised cycles for different milling, turning and grinding processes. The SORALUCE SUMMIT | PORTAL SERIES allowed to assess in real situations the capabilities and advantages of these interesting options. 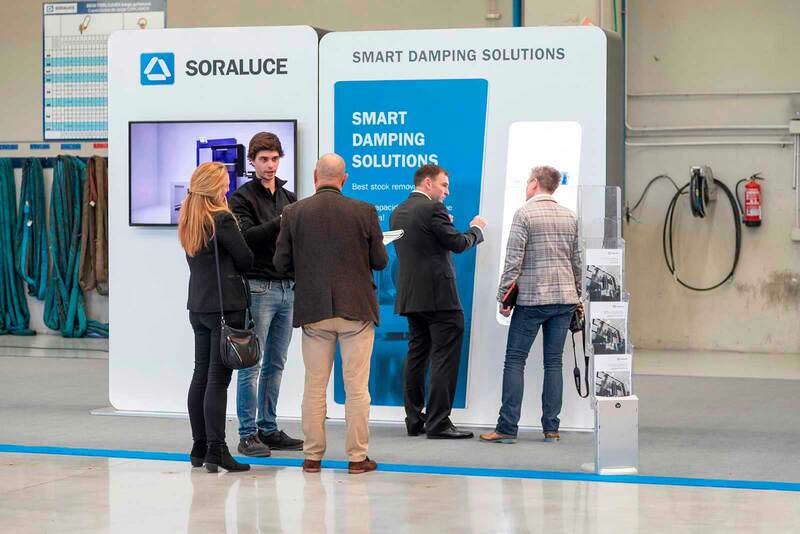 As was to be expected, the applied technology was one of the featured aspects during the Summit and SORALUCE yet again showcased its application ability to provide major solutions to common problems in machining. 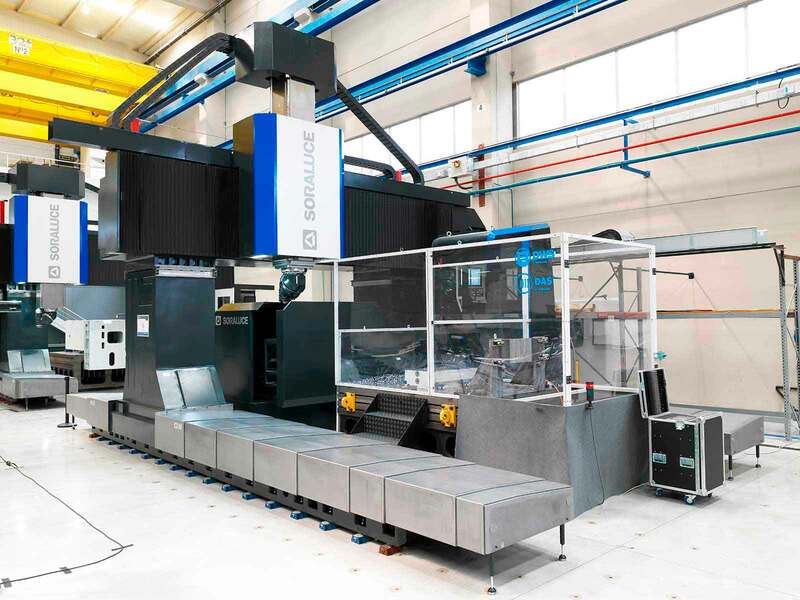 This challenge has obtained a positive response from SORALUCE, which has developed a number of solutions to eliminate self-excited vibrations or chatter, boosting machines´ cutting capacity and improving the efficiency of machining processes. This is a field in which the company has been working successfully for several years and in which it has been recognized with prestigious awards. Specifically, the team of dynamic behaviour experts at SORALUCE and its technology centre IK4-IDEKO has developed the Dynamic Workpiece Stabiliser (DWS), which was also part of the demonstrations during the SORALUCE SUMMIT | PORTAL SERIES. This system eliminates the chatter which usually occurs when flexible parts are being machined. DWS, patented, is an active damping device which consists of a controller and one or more inertial actuators placed over the part to be machined. Another in-house SORALUCE development is the DAS+, a smart system which oversees the machining process and selects the best technological alternative to eliminate any chatter that may arise. The solution, now available for new machines, can be fitted on request to machinery already operational. The system can boost productivity by up to 300%, with 100% cutting capacity through the complete workpiece volume. Besides, DAS+ also improves the surface quality of the parts produced, extends tool life, makes processes sturdier and reduces wear of the machine´s internal components. With the aim of optimising this very process, SORALUCE has showcased during the Summit the advantages of its VSET system, based on 3D photogrammetry vision technology which, by means of its VSET Measuring and VSET Fitting modules, guarantees that the measuring and fitting phases are completed in a fast and safe way. These two stages are executed outside the machine, increasing machine availability and productivity thanks to transferring set-up times in measurements, adjustments and corrections to an environment outside the machine. This third model, called VSET ALIGNMENT, complements the processes carried out by VSET Measuring and VSET Fitting, as it allows the measurement and fitting results obtained during these stages to be automatically included in the numerical control of the machining centre itself in order to subsequently proceed with alignment in the equipment, reducing with the new software up to 70% the overall time spent in the whole process. The VSET system process begins with the calculation of the surplus material in order to define the optimum alignment of the raw part. The VSET Measuring module uses photogrammetric technology to measure the part using several optical reference points or markers located in different areas surrounding it. Once this process is complete, the Fitting system automatically compares the information obtained with the final geometry of the 3D model of the part in order to carry out an optimum calculation of the local reference points. The report generated by this second model is sent to the machine so that the new VSET Alignment, installed in the controller of the machine itself, can implement an alignment of the part in accordance with the predetermined coordinate system. SORALUCE is the global leader in milling, boring and turning technology. Since its creation 55 years ago, it has continuously made innovative and pioneering contributions to engineering that have become industry standards. SORALUCE is recognised for its expertise in milling, boring and turning solutions and has the ongoing aim of improving customers’ efficiency and productivity. The company is also noted for its technical ability to customise each product based on the customer’s individual needs, and to implement turn-key projects, designing and setting up full lines according to the customer’s quality, efficiency and cost parameters. SORALUCE is a European brand which has extensive experience and a strong track-record, with over 3,000 machines sold (nearly half in the highly-demanding German market) and a customer retention rate of 80%. SORALUCE is part of the DANOBATGROUP, the machine-tool division of MONDRAGON Corporation, one of the largest holdings in Europe. It has nine state-of-the-art manufacturing plants in Spain, Germany, the UK and the USA, an Excellence Centre in Germany (BIMATEC SORALUCE) and its own R&D centre with 120 engineers, 24 PhDs and more than 30 years of history. The DANOBATGROUP develops and supplies an extensive range of machine tools, turnkey lines and solutions for specific applications aimed at high-technology sectors and at customers with high technical requirements. In 2017, it achieved a turnover of 240 million Euros with a workforce of 1300, enabling it to continue making significant investments in R&D, which represent approximately 8% of turnover.